My first week – what have I been doing? Springcleaning! We are having a huge springclean to create a much more professional and inviting office environment. You are most welcome to come visit and see for yourself. We have relaunched our weekly newsletter to be much more concise, dynamic and punchy. What do you think? 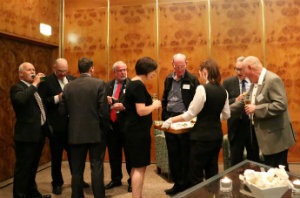 Aviation Leadership Summit 20-22 July Wellington – Theme and venues will be confirmed next week. Watch this space. What will NZ’s aviation infrastructure look like for the next 20 years? 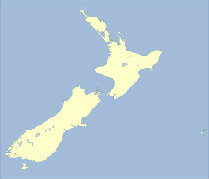 This is answered by the NZ National Airspace and Air Navigation Plan currently being finalised by the CAA. The Plan addresses key issues relating to the introduction of the GNSS environment, PBN and ADS-B implementation, user equipage and RPAS. The Plan will go to Ministers in March with the aim to get Cabinet approval by July 2014, well before the election shutdown. More on this next week. As we celebrate 100 years of aviation, 2014 is the ideal time to reflect and relaunch Aviation NZ so that it serves our industry well for the next 100 years. Weibo - What is it? Would you like to save 40% of your total energy costs? Would you like a $5000 contribution to an energy audit? Would you like to save $200,000 pa on external suppliers? Membership of Aviation NZ entitles companies (and employees) to N3 Cards, which improves your buying power. Over 100 suppliers belong to N3 (formerly GSB). 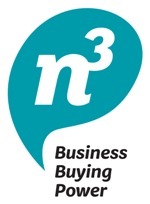 Even if you do business with one of those suppliers, you can retain your existing relationships and access any savings available through the buying power of N3. In aviation manufacturing, it is possible to save up to 52% off the list price from one N3 supplier. Several members spent over $1m through N3 last year and saved almost $200,000. Companies such as Noel Leeming belong and your staff can buy from them – a real value add that you as an employer can give your staff. Interested in Other Export Markets? Elections ahead in India and Indonesia and they are affecting aviation in both countries. If you are interested in latest developments in those markets (and China and Vietnam), email john.nicholson@aviationnz.co.nz for the latest profiles.